MONTMELO, Spain (AP) — Alfa Romeo has unveiled the new Formula One car that will be piloted by former champion Kimi Raikkonen this season. 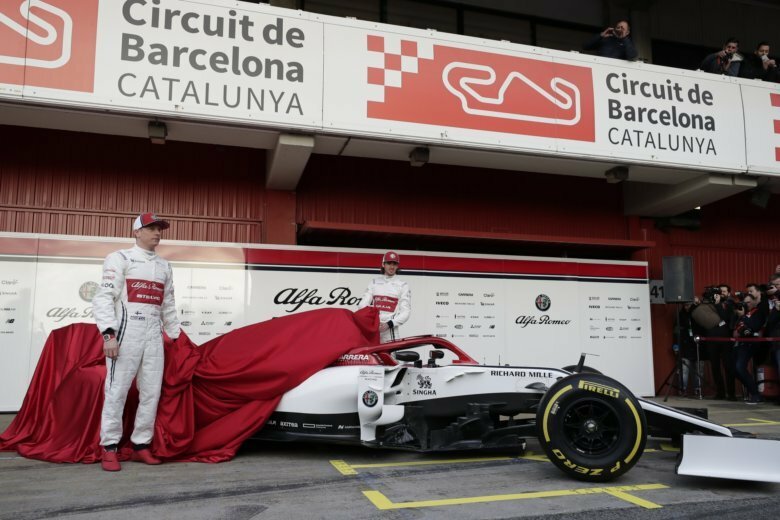 Raikkonen, teammate Antonio Giovinazzi and team principle Frederic Vasseur posed with the white-and-burgundy Alfa Romeo C38 in the pit lane of the Barcelona-Catalunya Circuit before preseason testing started on Monday. Alfa Romeo is the rebranded name for the Sauber team this season. Raikkonen joined Alfa Romeo from Ferrari, where he won the Italian team’s most recent drivers’ title in 2007. The 39-year-old Finn is joined by Giovinazzi, a 25-year-old Italian with two Grand Prix races under his belt. Sauber finished eighth in the constructors’ standings last year.